Mickey Griffith of the Referral Institute explains the “Five Essential Steps to Referrals that Rock!” Mickey believes high quality, consistent referrals are within your reach. We all have the ability to draw great referral sources to us. Wouldn’t it be great to have a system that helps them give you more referrals? Wouldn’t it be even better if they could give us better quality referrals? We’re going to discuss exactly what that process looks like and more. Putting this material into action will spark the kind of growth that you’ve been looking for in your company. Mickey Griffith is the Franchise Owner of the Referral Institute for Marin & Sonoma counties. 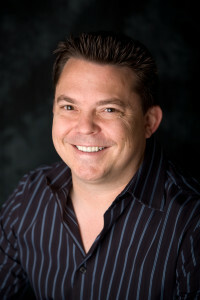 His specialty is helping entrepreneurs consistently attract the right clients through the highest quality referrals. He is known for delivering high value content with great energy and passion and has been featured on blogs across the world as far reaching as Dubai. Where: Drake’s Landing Community Room located at 300A Drakes Landing Road in Greenbrae. The Community Room is adjacent to Jason’s Restaurant.